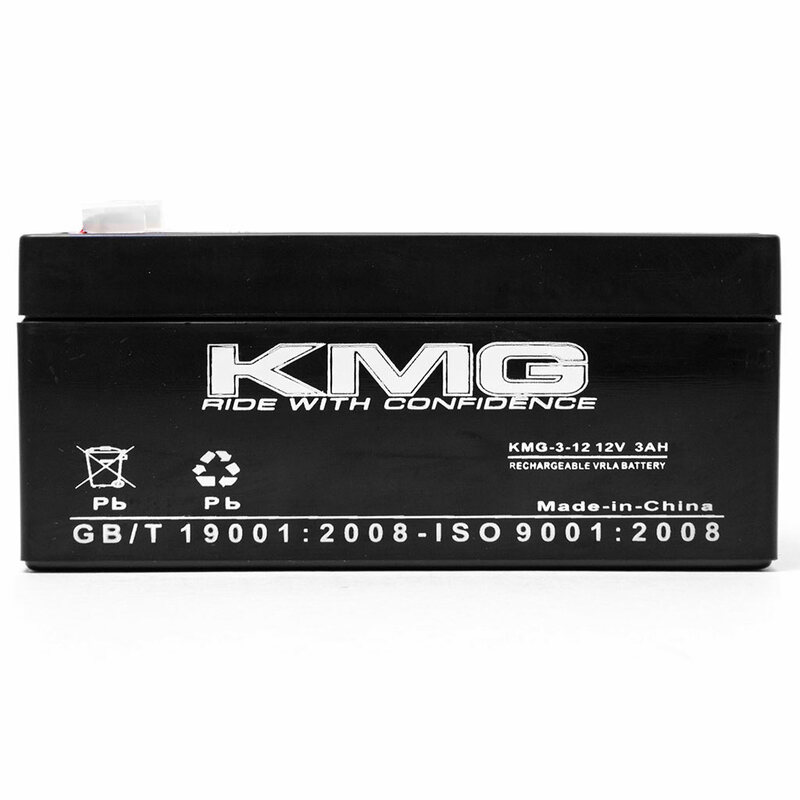 The KMG Battery is maintenance-free, shock and vibration resistant, and neverneeds re-filling. Advanced lead-calcium technology offers exceptional startingpower. Common appications for these batteries include UPS systems, emergencyenergy lighting, electronic applications, fire alarm and security systems, telecommunicationsystems, backup power for testing and measuring instruments, electronic apparatusand equipments, communication power supply, DC power supply, and auto controlsystems. Dimensions: 5.28" x 2.64" x 2.64"
Fitment Note: Always double check thebattery voltage, capacity, terminal type, and dimensions needed before purchasing.